I'm going to assume a full-size pickup, since you didn't specify and those are the most popular. I would recommend a Ford F-150, for the following reasons. Toughness: I have seen how Ford over-engineers/under-reports the capabilities of their trucks. For example, I've seen over 2,200 lbs loaded in the bed rated for 1,500. The fully-boxed frame gives it strength other brands don't quite have. Ride: Ride quality is better than other all of the other brands save for the newest Dodge Rams that have the coil spring rear suspension. 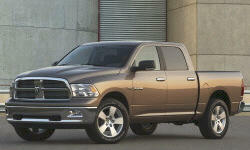 There the Ram has a slight edge. Fuel economy: Particularly if you don't regularly need the tow capacity, Ford's EcoBoost engines deliver fuel economy near the top of the class. In certain configurations, Chevy might slightly outdo it. 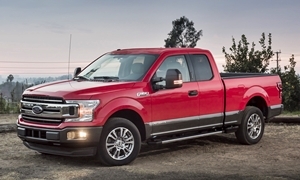 Reliability: Overall, the F-150 is quite reliable. Any issues with particular years tend to involve minor features, rather than powertrain issues. No vehicle is perfect, so I'd rather have a problem with a cosmetic part than an engine or transmission issue. Styling (subjective): In my opinion, the F-150's styling is not as boring and dated as Chevy, not as in-your-face (semi-truck) as Ram and more cohesive than Toyota. Overall, Ford has been the best-selling truck for 37 years. You can't accomplish that unless you continually improve and do what it takes to stay there. The F-150 is Ford's bread-and-butter. Check on truck innovations and you'll find they started with Ford first. Usually, after Ford introduces, the other brands (particularly Chevy) make fun of them as rationale why they don't have the feature. Then, they introduce it a couple of years later. If I the F-150 didn't exist, I'd look at Ram, as it's coil springs, bed storage box and vastly upgraded interiors have made it a solid contender. If my pickup was more of a family hauler than a real working truck, I'd probably consider Toyota, though their low sales mean that they haven't improved on things in a long time. For example, the engine needs updating and they need to get with the fuel economy program. 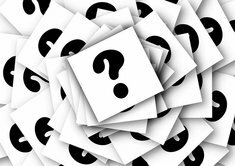 It might help people offer suggestions if you could provide more detail on your needs and priorities, and perhaps what you like and dislike about trucks you've checked out.